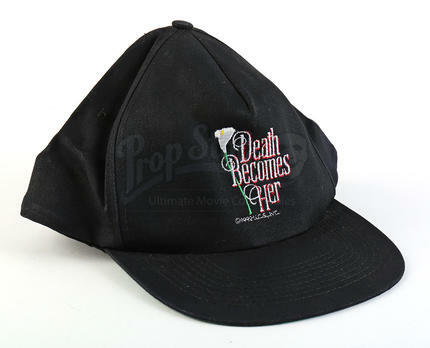 A crew cap from the star-studded 1992 comedy Death Becomes Her. 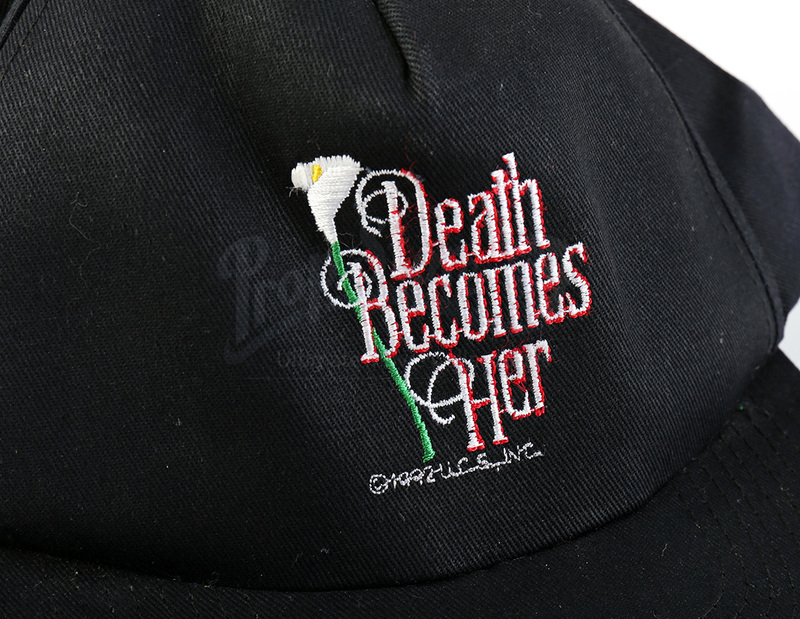 In the film, an aspiring writer turns to an immortality potion in the hopes of outdoing her rival and former friend. Hats like these were gifted to the crew who worked on the production of the film. 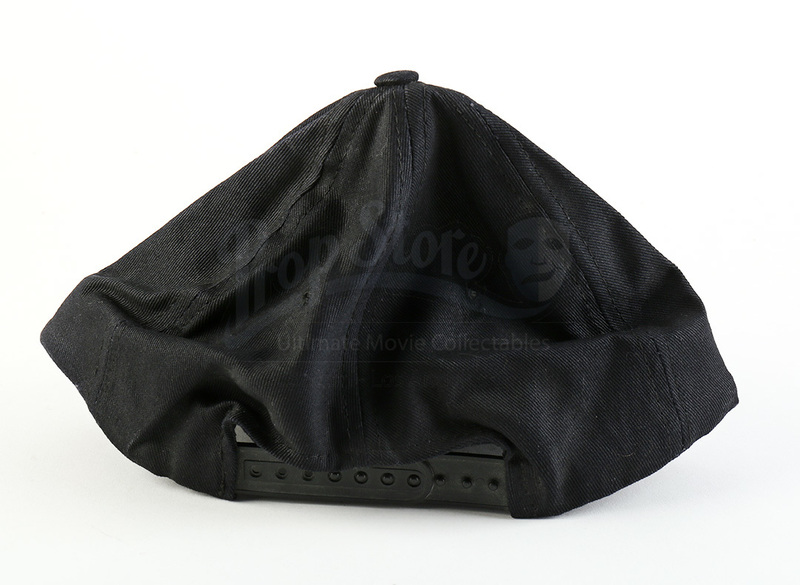 The black cap features the film's logo embroidered on the front and has a strap adjustable for size on the back. 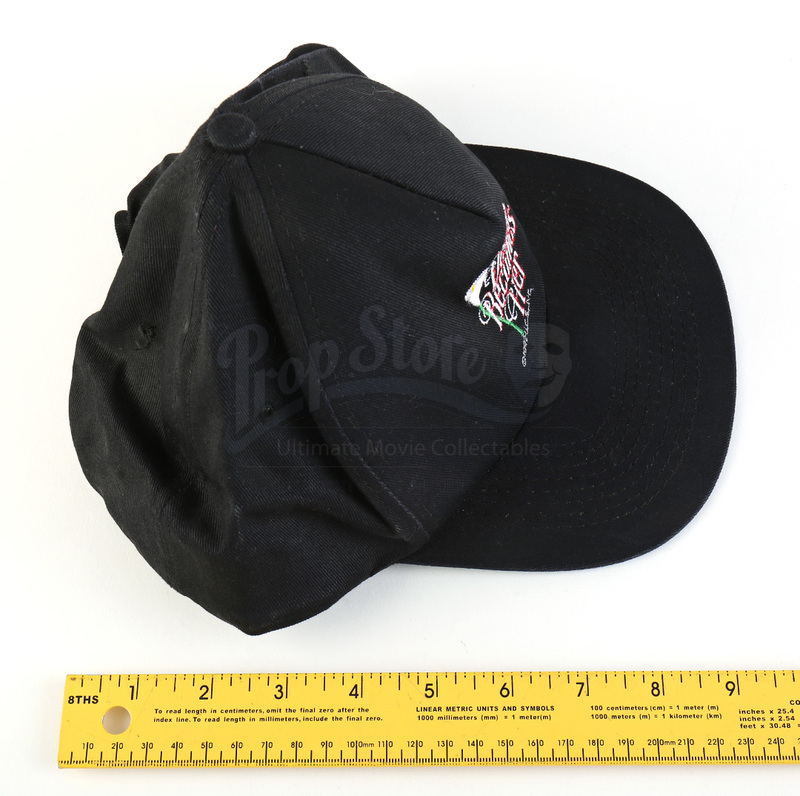 The hat shows minor signs of wear from age, but remains in great overall condition.